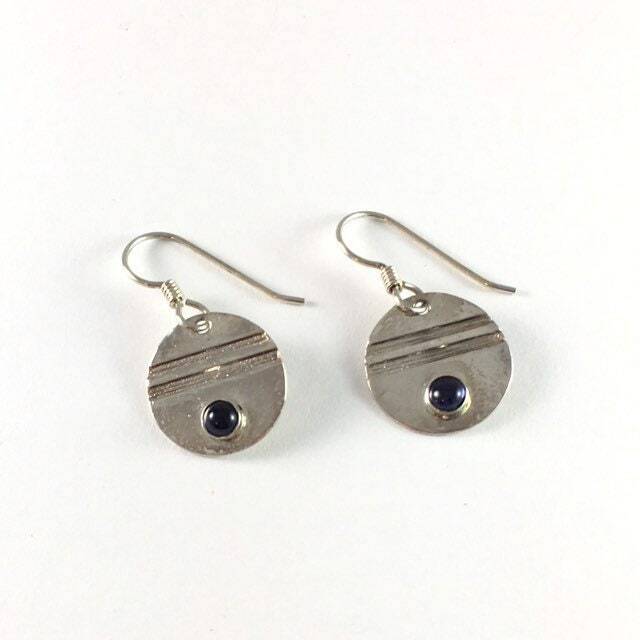 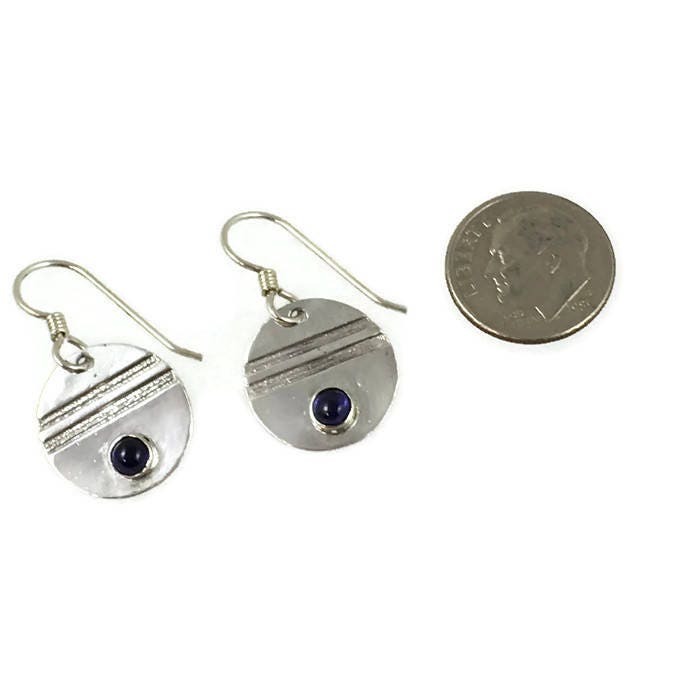 These are dark purplish blue earrings that are great to wear to the office. 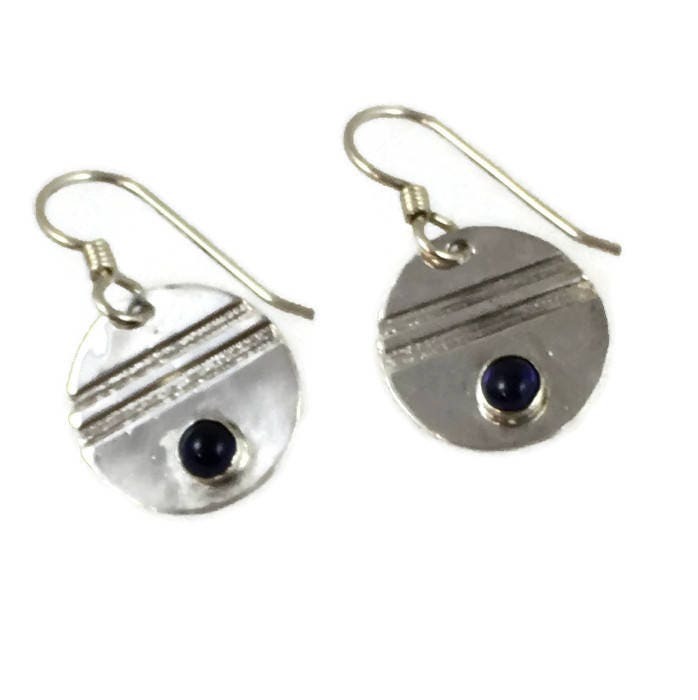 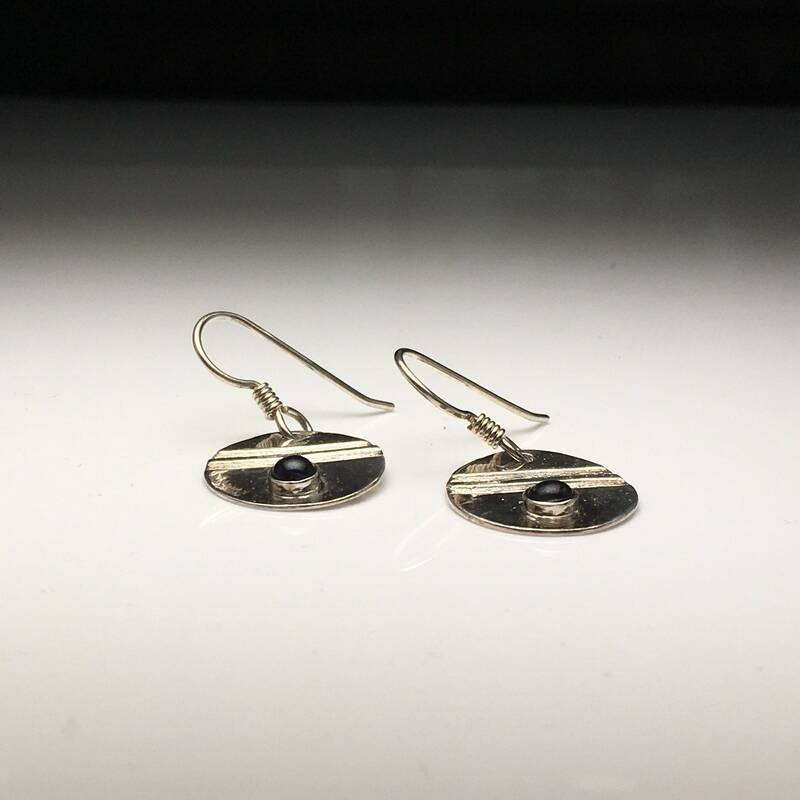 The earrings have a contemporary flair to them. 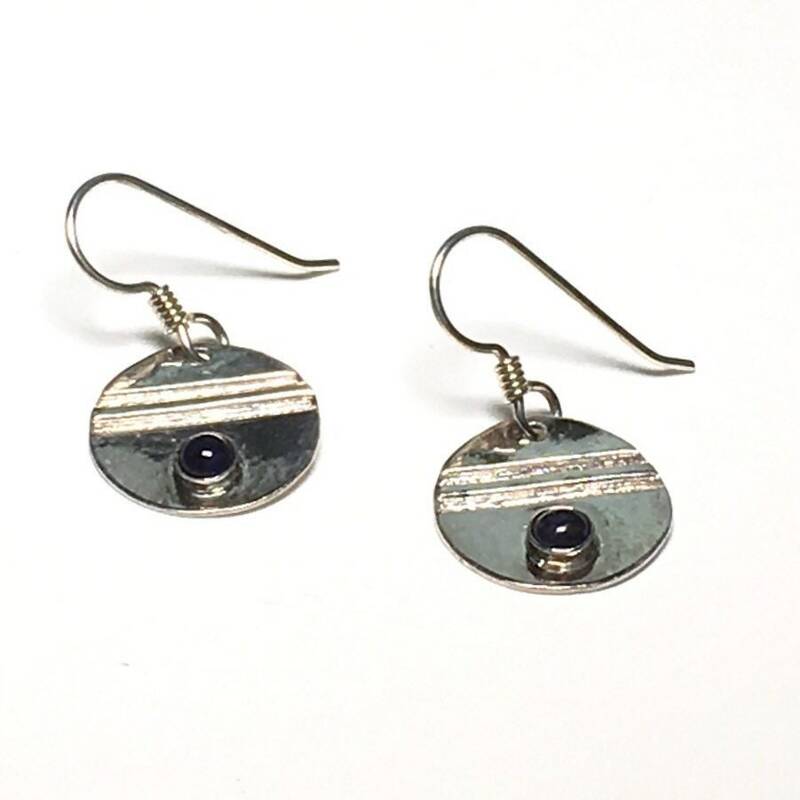 I hand make each pair in my studio so there are slight variations. 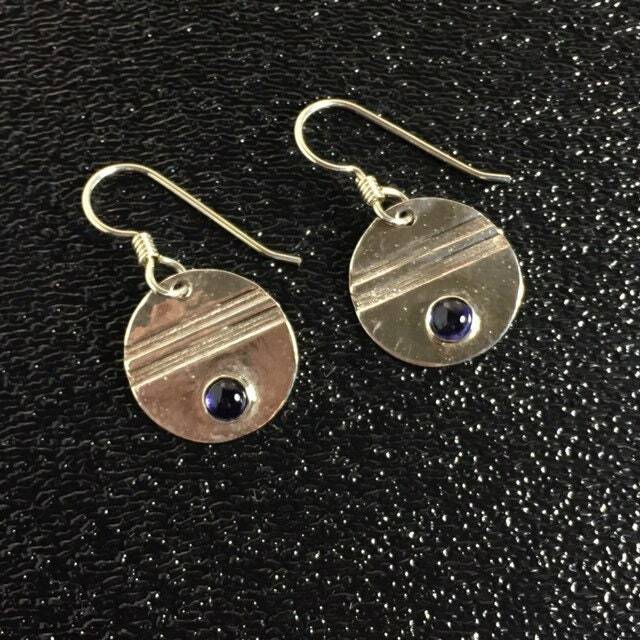 The geometric lines are engraved into the silver. 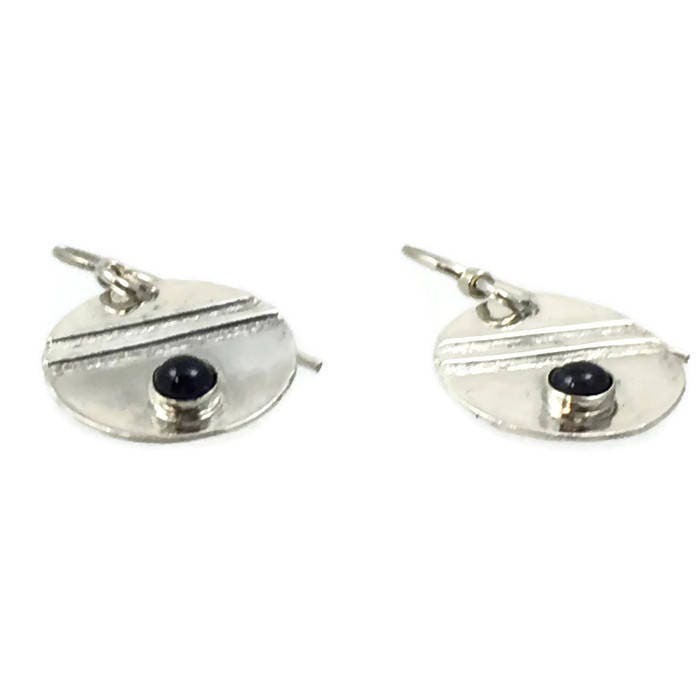 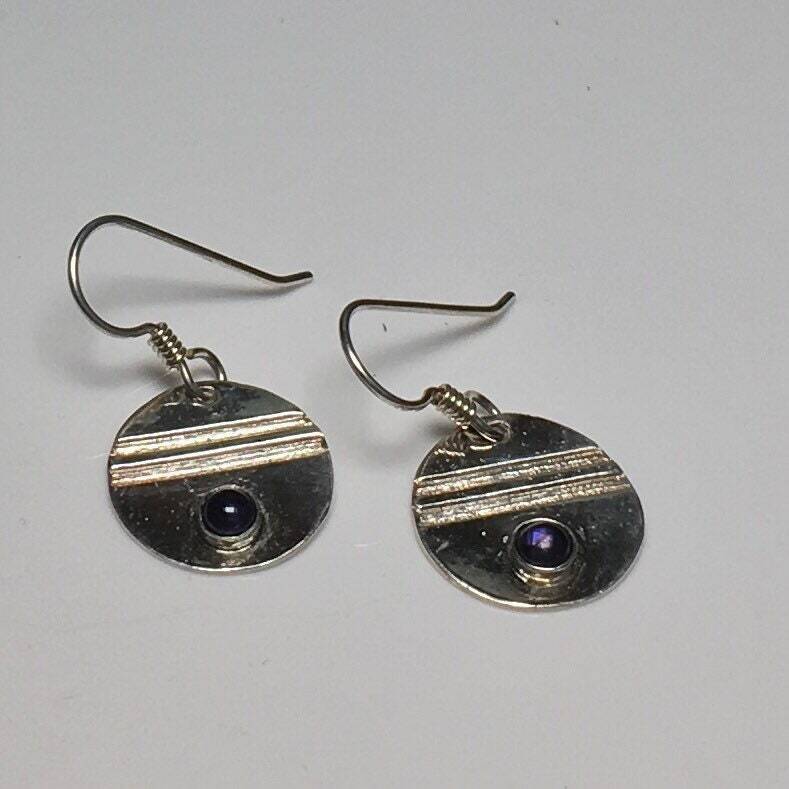 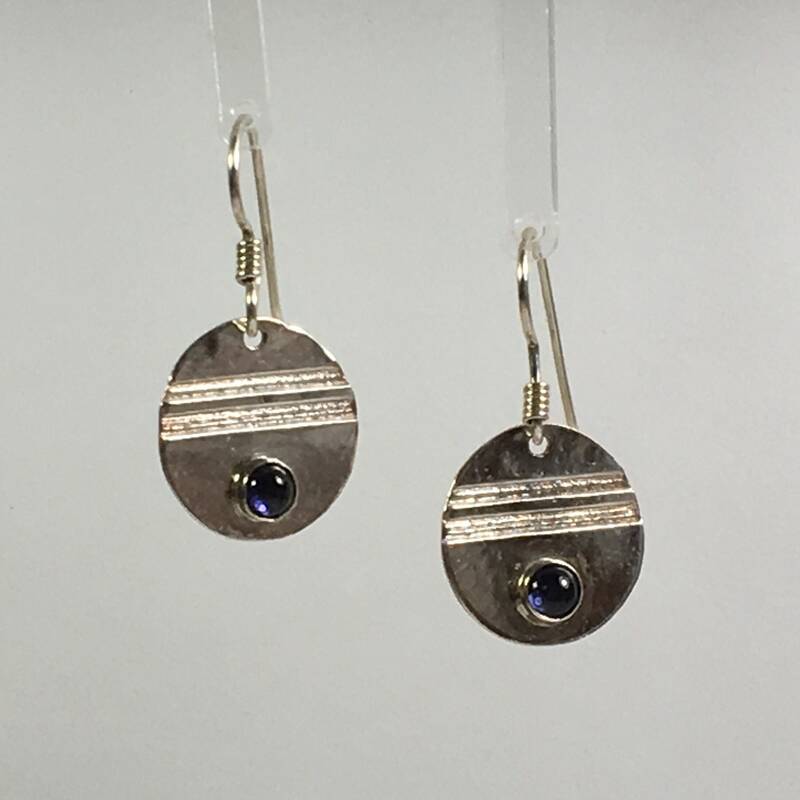 Then the gemstones are bezel set using genuine Iolite. 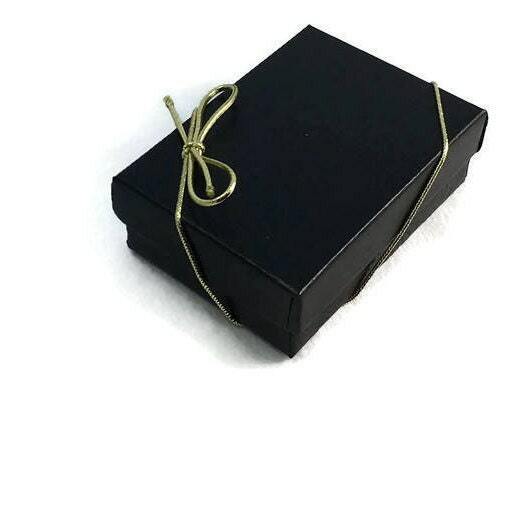 They come packaged in a nice gift box ready for gift giving or keep for yourself.